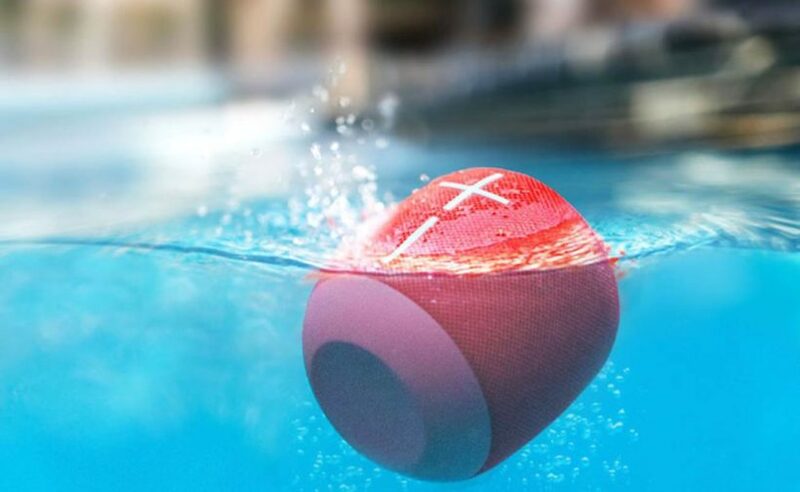 The UE Wonderboom is a fully IPX7 waterproof Bluetooth speaker that looks really cute and has the ability to float on water, which makes it really fun to have around for pool parties. The entire speaker has a very unique circular shaped design that looks and feels solid – it is capable of delivering crisp and clear 360 degree sound for you to keep the party going through the night. The entire speaker is IPX7 waterproof which means that you can submerge this speaker underwater up to a depth of 1m for 30 minutes without any issues. The Bluetooth connectivity on the UE Wonderboom is excellent, and can go up to 100 feet in length when unobstructed. The battery life on this speaker lasts a good 10 hours of continuous playtime on a single charge, and you can also connect the UE Wonderboom with other Bluetooth devices at the same time. In terms of sound performance and aesthetic design, the UE Wonderboom definitely delivers. The Pros. The UE Wonderboom is fully IPX7 waterproof and even floats on water, making it very fun to have around beach or pool parties. The speaker is built like a tank with a very solid and durable appearance. It also looks pretty eye-catchy which is definitely an added plus. The Cons. The UE Wonderboom claims to produce 360 degree sound, although this can vary depending on the kind of outdoor environment the speaker is placed in. The battery life on this speaker lasts 10 hours on a single charge which is good but not great. The price is also on the slightly steeper side for a speaker of this size. The UE Wonderboom is a really solid outdoor waterproof speaker you can find that delivers multi-directional sound. We liked how portable this speaker actually is and how easy it is to carry this speaker around in a backpack. It features an IPX7 waterproof design and is capable of floating on water, making it suitable for a wide variety of water-sports and water related activities. In addition, the sound performance of the Wonderboom is simply top-notch and produces crisp and good midrange, with booming bass. This makes listening to the Wonderboom a very enjoyable experience and the speaker can easily project sound while in the pool or by the beach. You can also use the Wonderboom as a shower speaker and listen to music without having to worry about the speaker. 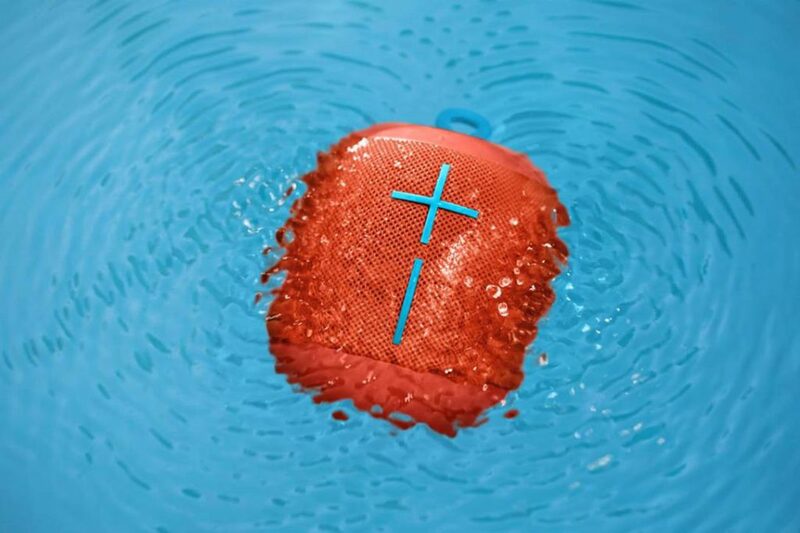 Overall, the UE Wonderboom has a really solid build with crisp sound performance and we would definitely recommend it if you are looking for an outdoor speaker that floats on water. 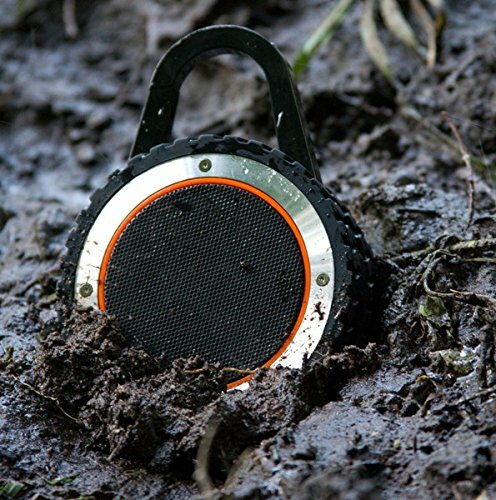 Be sure to check out these waterproof Bluetooth speakers and outdoor Bluetooth speakers that deliver superb sound performance and have water resistance capabilities.